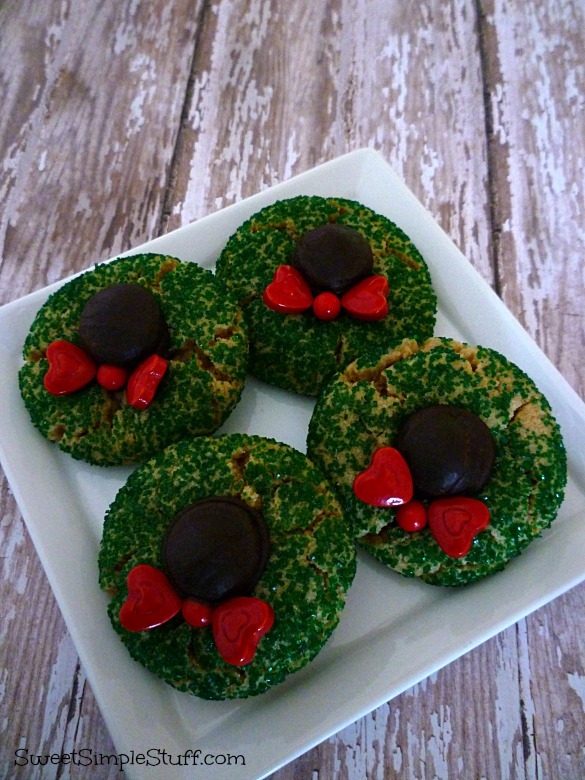 Yep … the same peanut butter and chocolate cookies as the Reindeer Cookies from a few days ago! Sometimes inspiration comes when you least expect it! 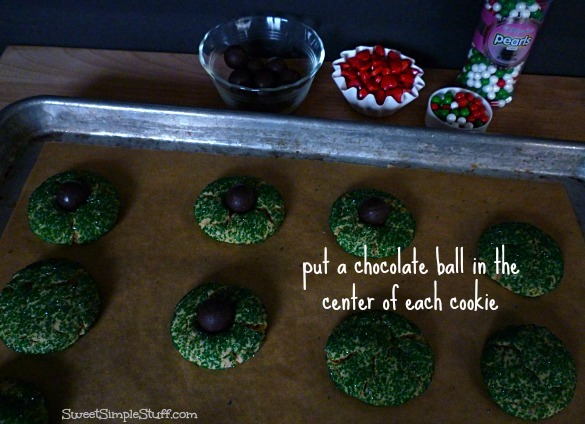 While I was making the Reindeer Cookies, the light bulb in my head lit up and I can’t explain how or why it happened … who cares … it resulted in another peanut butter chocolate Christmas cookie that is easy peasy! I always look forward to hearing your opinions! 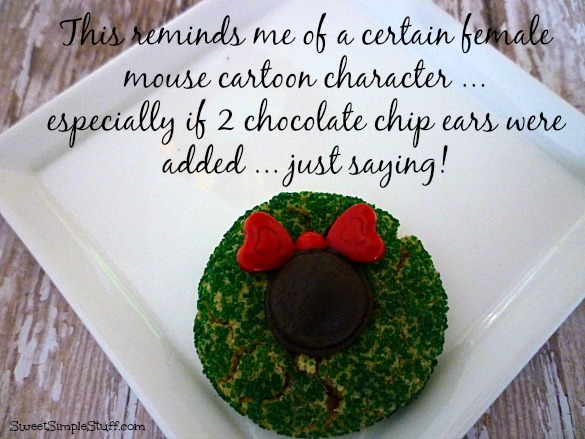 Peanut Butter & Chocolate Wreath Cookies are so cute & yes if you add 2 ears you would have Minnie Mouse. 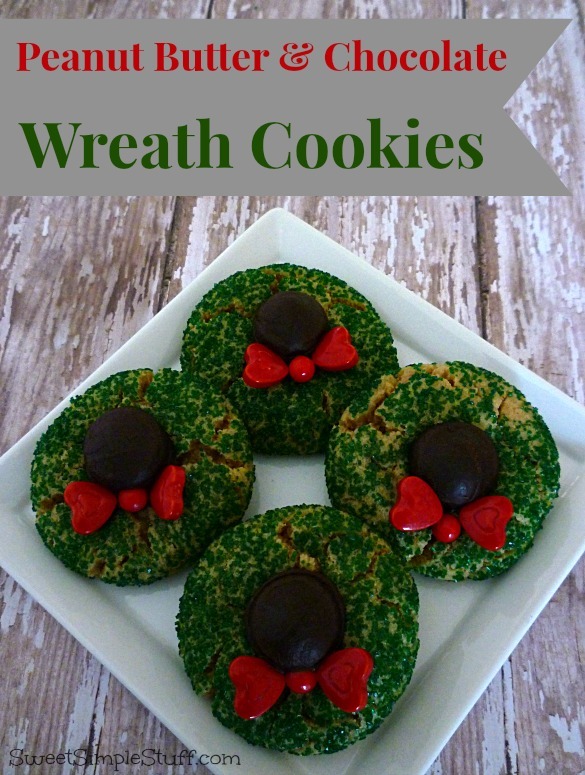 I like them & will Share with my family & friends. I do have to ask tho,if Nutella can be used in place of Peanut Butter? As my eldest granddaughter has an Allergic reaction to Reg,Peanut Butter. Thank you Anna 😉 I am allergic to hazelnuts and have never tried Nutella! I’m not sure about the substituting in this recipe because Nutella has more sugar than peanut butter. 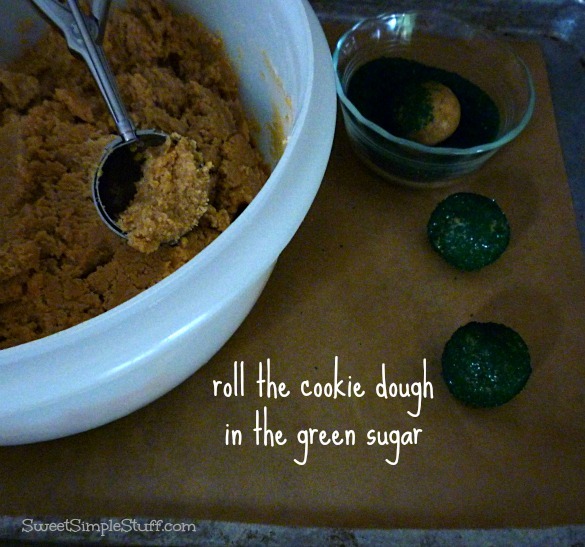 Do you have a Nutella cookie recipe that is similar to a peanut butter cookie? 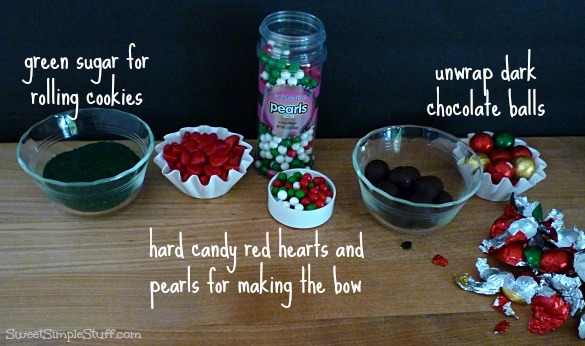 I would try using a recipe that works with Nutella. Please share your results! 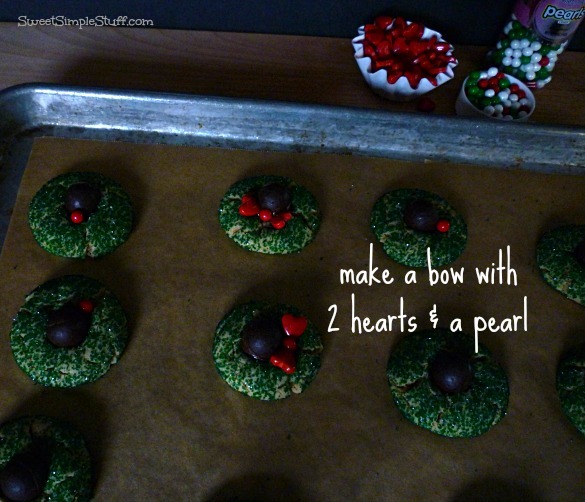 This Peanut butter & chocolate wreath cookies looks cute and mouth watering.